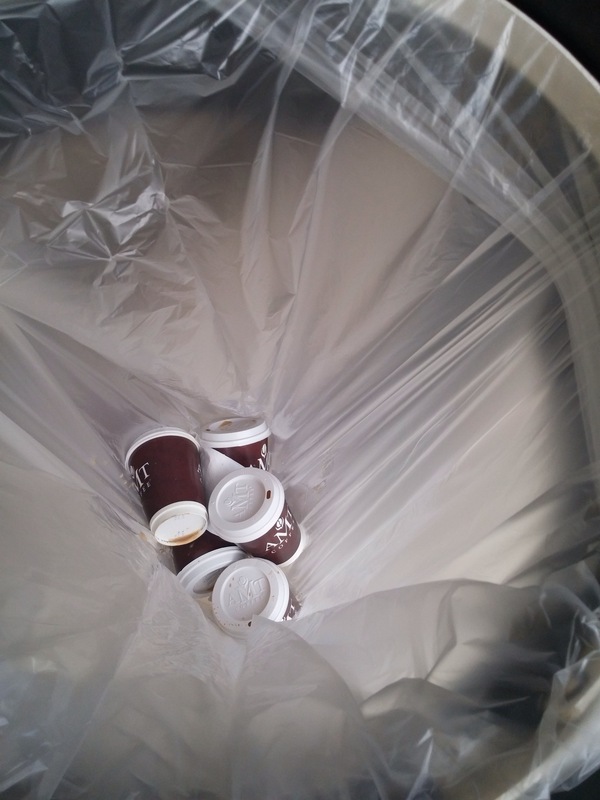 The only positive point we could find was that the disposable cups were really good and insulated as the cup did not feel too hot despite the heat of the coffee. To summarise I would say this coffee is like a second hand car that looks good from the outside, but once you get it home you realise that the whole underside is rusty and the engine in shot, only one place for the car and that’s the scrap yard. 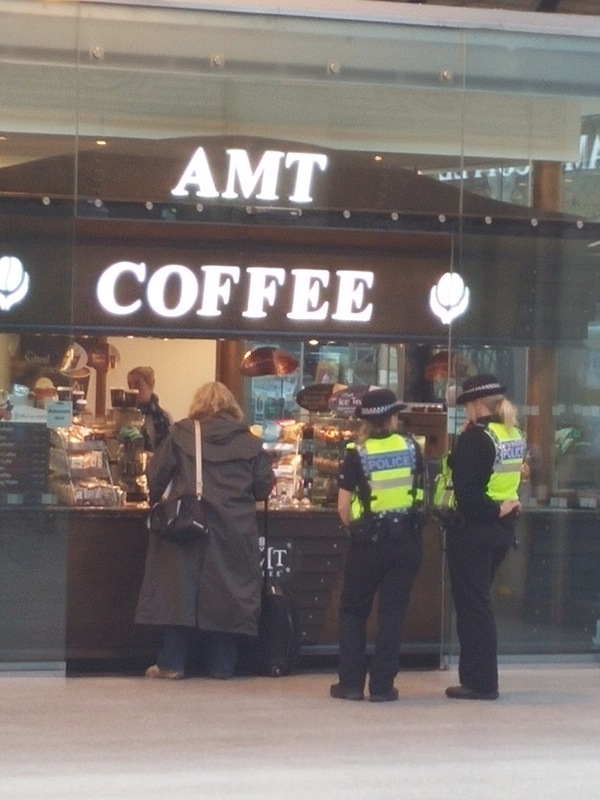 AMT’s philosophy is ‘the real coffee connoisseurs know that whenever they see the original, distinctive, AMT coffee bar, they will be served the best coffee in the UK’ unfortunately on this occasion they did not deliver. 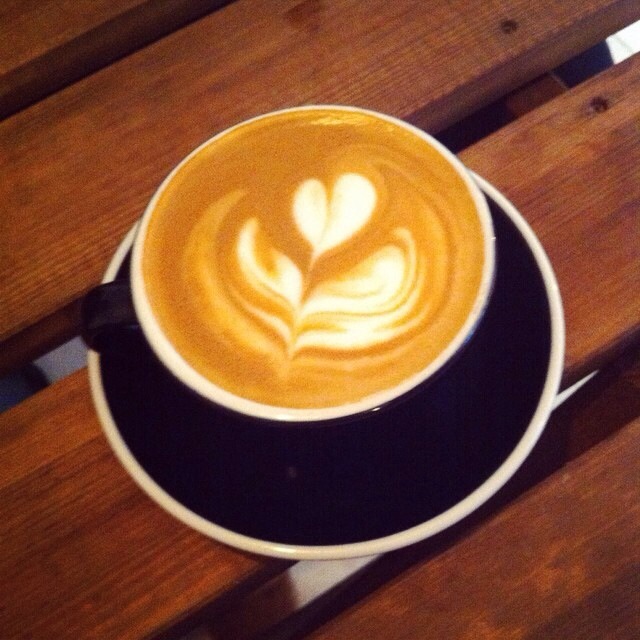 * Disclaimer – coffee ninja set out to find the best flat white in Newcastle, we are here to inform and advise, but recommend people make up their own mind. We are reviewing based on our opinion as a group and it is only our opinion. This was reviewed at the Newcastle branch in central station and no other store . Ok so this is not a review but it is how we will be adding to our ratings going forward. 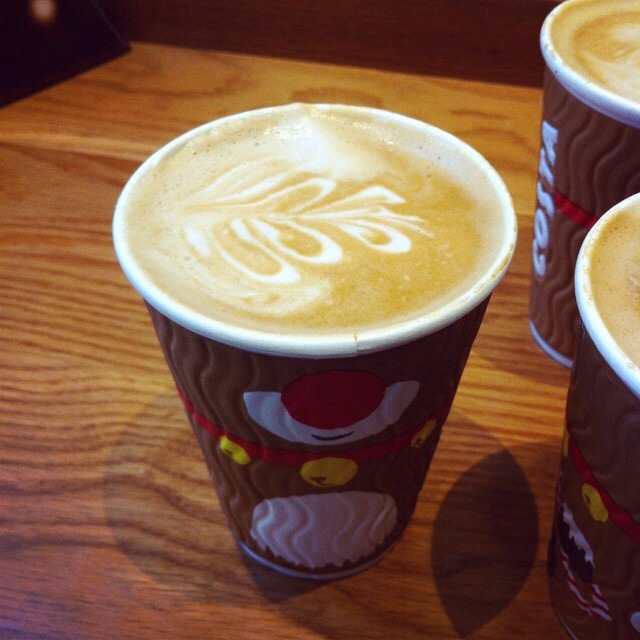 We have also rated the coffee based on price, the ratings are based on the prices in the Newcastle area. 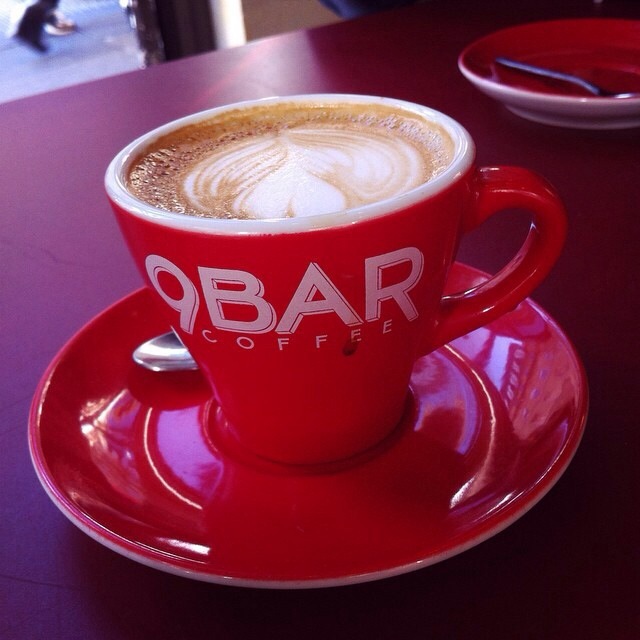 This was a mild coffee that was slightly sweet and citrus, a bit milky and slightly too hot. Too large a portion for a flat white. 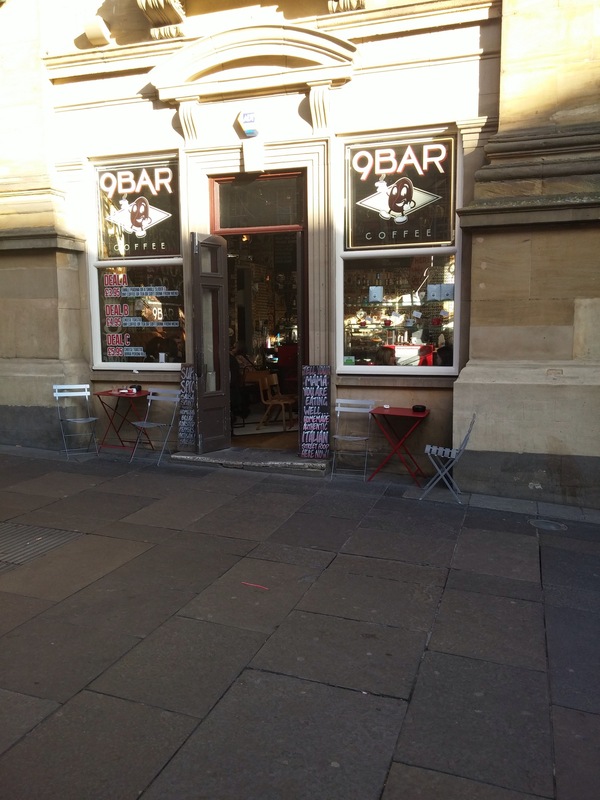 Slight delay in getting this review but on 3rd November we visited 9 bar on Grey street next door to the theatre royal. The shop is quirky with what looks old school furniture it had a nice area outside to sit as well, but not really the weather for it at this time of year. On the day we went I think that they were serving ‘Bernard’ by colour coffee. I think that this is the blend that they serve on a regular basis. Saturday 1st November we had a family coffee ninja visit to harvest which is the OCC (Ouseburn Coffee Company) canteen in Jesmond. 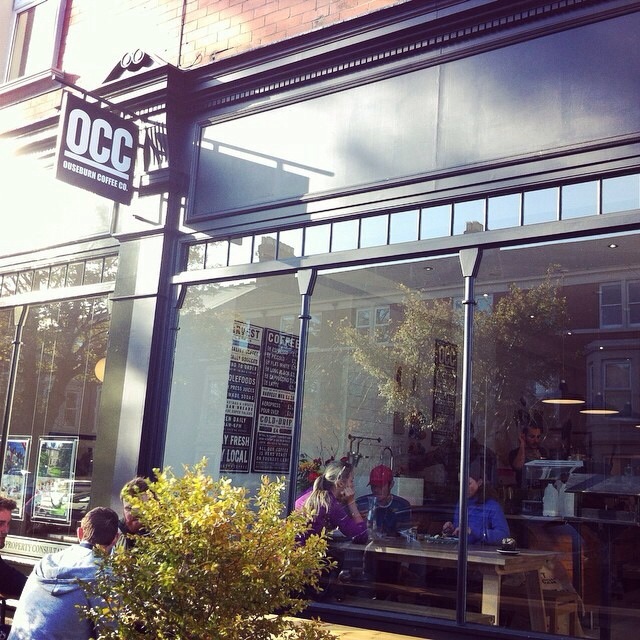 OCC are an artisan roastery established in 2012 and recently opened harvest to sell its coffee. The canteen itself has not been open very long and is pretty minimalistic so is spacious inside, but some of the ‘picnic’ tables are not very sturdy and there are the some random expensive looking furniture items around the outer walls at the back of the seating area. As this was a weekend we invited our partners, wives and children so in total there were 10 of us 8 adults a toddler and a baby. We all ordered food at various times and to be honest the staff seemed very stressed and not very welcoming or friendly. It was as if it was an effort to serve us. I would say that the place was not really child or disabled friendly either. So overall this coffee is pretty good but not quite up there with the best we have tried. It’s like a decent German car claiming to be a BMW but not quite hitting the mark, and when you complain to the salesman he is no longer interested as he already got the sale.